Let us not forget those who can't be here with us today. We give thanks to you for them, too. We miss our loved ones, Lord, but we are thankful for all the good times that we had with them. We know, Lord, that this life is not all there is; that the best is yet to come if we live for you. So, help us each day to live our lives in ways that honor and please you. And we'll not forget to give you all the praise and glory. 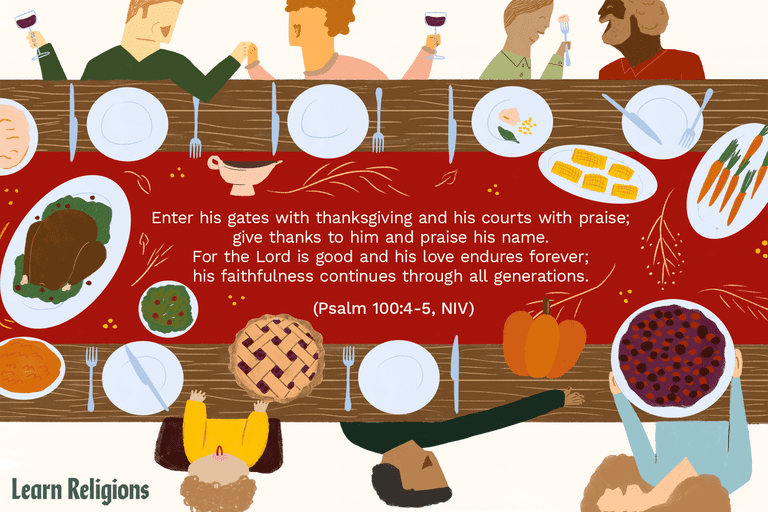 "I Thank Thee" is a beautiful Thanksgiving prayer. This Christian poem was originally written by Jane Crewdson (1860) as a prayer of thankfulness to God for all things in life, both the good and the bad, the bitter and the sweet. The poem has also been put to song in a hymn. Alternate titles for this work are "O Thou, Whose Bounty," and "At All Times."